In our society today, we underrate silence. We prefer noise, sound, often music, but anything so that we won’t have to endure silence. The absence of sound. I’ve recently come face to face with my need for silence. A neighbor has bombarded me with sound at night that has kept me from sleeping well. She responded to my request to turn down the volume by turning up the volume, which has led to lodging noise complaints against her. I need silence to sleep. Do any of my readers not need silence to sleep? When I first began writing fiction in a serious way, I wrote with classical music on in the background. It sparked all sorts of ideas in my imagination, but didn’t help the actual writing. At one point, I would listen to classical music during my morning walks while going over notes from my writing on the current fiction project. I found this to be especially productive with generating ideas for scenes, character development, and dialogue. Music opens the doors and windows of my imagination with an invitation to come out and play. But I need silence in order to write now. It is as if the words generate their own sound, each word its own vibration, within my mind. I need to hear it, to listen. It feels as if my imagination observes the writing process as if watching a play or movie, reviewing my work later in dreams or when I’m going over my notes. The silence allows me to think. The silence creates the space for the words to occupy and resonate. The shy words don’t want to appear when there’s noise or music or something else occupying that space. They want their own silent space. I also now read in silence. Except on my commute to and from work when I’m on a bus or train car full of people. Sometimes those people concentrate on their smartphones and are silent. Most often, someone who doesn’t have earphones will play a video or music on the smartphone loud, irritating me and others. Sometimes, someone uses the smartphone to actually have a phone call — one day a couple weeks ago, I (and everyone else in the bus) were forced to listen to a woman doing a career coaching phone call in what I’m sure she believed was a normal voice but was in fact quite loud. It’s a wonder how much of a person’s business becomes public because of cell phones, but it’s apparently more important to make the calls than keep the business private. Or do these people think no one can hear them or are paying attention? Who has the ability to block out the human voice or a video or hip-hop music? I don’t, especially when loud and in a confined space like a city bus or train car. I do love quiet commutes when the other commuters are silently engrossed in their smartphones and I can read. But there are always other sounds in the background — traffic, the sound of the bus engine or the train wheels on the track, announcements of the next stop, or PAs about not smoking on the train. I have more success blocking out those sounds, sometimes to the extent that I’ve missed my stop because I was engrossed in my book. Silence. Underappreciated. I crave it. I need it for my writing. A friend sent me a link to the Writer Unboxed blog the other day. She thought I would find it interesting and comforting, I think. I have always been fascinated with the composers who composed incredible music when they were suffering from illness — the three biggies: Mozart, Schubert, Beethoven — but still continued to compose. Bela Bartok’s story has also been stuck in my mind because I love his Concerto for Orchestra so much. He wrote that stunning work for symphony orchestra when he was in the late stages of leukemia. He must have been in awful pain. While you listen to the video above, check out Sarah’s post at Writer Unboxed here. She writes of her struggles with chronic illness which only makes me relate to her experiences and realize that it is possible to still produce good work even if I’m physically ill.
One of the prevalent strains of flu knocked me off my feet this past week and I’m still recovering. As a result, I have not done much writing, but I have tried to keep up with email. I ran across an interesting blog post at “Writer UnBoxed” that defines and explains the different types of editing. There wasn’t a reblog button, so the link is here. Professional writers need to know about the different types of editing in order to hire the right kind of editor for their books when the time comes for the professional editing process to begin. I would dearly love to find an editor who could stay with me for all my novels, who could do a developmental edit as well as copy editing. An excellent professional editor is like gold. But there’s more to it than just being able to edit, I’ve discovered. It’s also important that the editor have an interest in the kind of writing I do, the subjects of my writing, and be open to learning if the knowledge is not yet there. It can be a disaster if an editor just doesn’t get your subject matter or has no interest in it. First Draft: Write short or Write long? The last few weeks I’ve been working hard on the revision work for Perceval’s Shadow. The work has progressed like a snail moving to the other side of the yard. Why? That’s been bugging me. Why is it so slow? Then I received the January 2019 issue of The Writer, and I found an article inside entitled “Go long & cut, or write short & add?” Aha! This article sparked some serious thinking about my approach to this first draft vs. the way I wrote the first draft of Perceval’s Secret. I wrote the first draft of Perceval’s Secret by throwing down on paper every thought, idea, description, and scene that came into my head. I remember during the revision process I also discovered that I’d repeated myself often, and cut every repetition I found. I also had a fondness for certain words that I used over and over. They were all cut as well. The point: I wrote that novel so long I ended up cutting thousands of words. That was before I did a line edit where I tightened up the writing, cutting thousands more words. Perceval’s Secret was my first novel. I hadn’t a clue what I was doing. I wrote my way into it and then sculpted the story out of the gigantic first draft I’d created. It took many drafts and revisions before I got to a point where I thought maybe I finally had the novel that was really there. If you haven’t been through this process, it’s difficult to imagine the months upon months of work or the sense of uncertainty and inadequacy it produces in a person. I remember thinking when I finished that I really didn’t want to experience that again. So, when I wrote the first draft of Perceval’s Shadow, I wanted first and foremost to get the story down with all the important plot points. So, I left out description, transitions, and in some sections, whole scenes. I even left out at least one chapter. I wrote copious notes about what I was thinking at the time, and also ideas of what would need to be added in order to flesh out the story and characters. I wrote that first draft short with the intention of adding during the revision process. That decision is the reason my progress with this first revision progresses at such a snail’s pace. The uncertainty and sense of inadequacy I felt working on the first draft of Perceval’s Secret pales in comparison to the frustration I feel working on the first draft of Perceval’s Shadow. I wish I had written this first draft much, much longer. I’ve discovered that I prefer to cut rather than to add. For one thing, despite all the notes I left myself, I’m not at all certain that I’m filling in the gaps in the same way I would have when I wrote the draft originally. On the other hand, I’ve gained knowledge and snippets of wisdom in the time since I wrote that first draft, and I’m bringing a more mature perspective to the characters and their motivations. Conclusion: I’ve learned that I’d rather cut than add during the revision process. By experiencing both ways of writing a first draft, I’ve gained valuable knowledge about myself as a writer and my approach to revision work. I’ve written half of the first draft of Perceval in Love. I think when I return to finish that draft, I’m going to be filling in the gaps in the first half and adding everything I can think of for that story as I finish it. In the meantime, I continue to slog on with the revision work for Perceval’s Shadow. 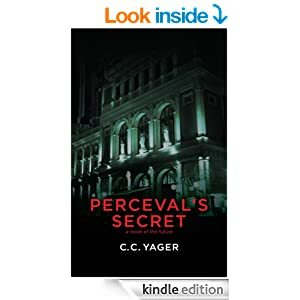 P. S. My goal was to finish the first 12 chapters of Perceval’s Shadow, or half the novel, by December 31, 2018. As it stands now, I’ll come very close, but still won’t achieve that goal. Not that I’m going to throw up my hands and give up as a result. I love revision work too much….